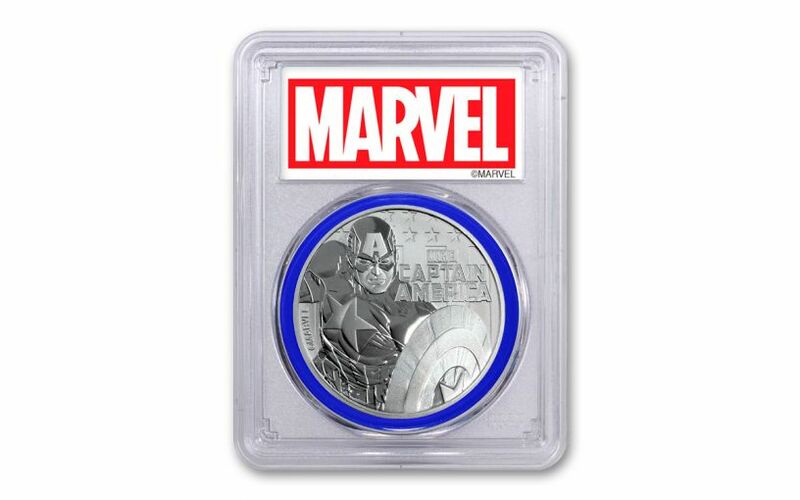 Your 2019 Tuvalu Captain America One-Ounce Silver Coin will come graded by the Professional Coin Grading Service (PCGS) as being in near-perfect Mint State-69 (MS69) condition, a distinction that means your almost-flawless coin will showcase an impressive full strike and indistinguishable imperfections – well above and beyond the quality of the vast majority of coins in the series. 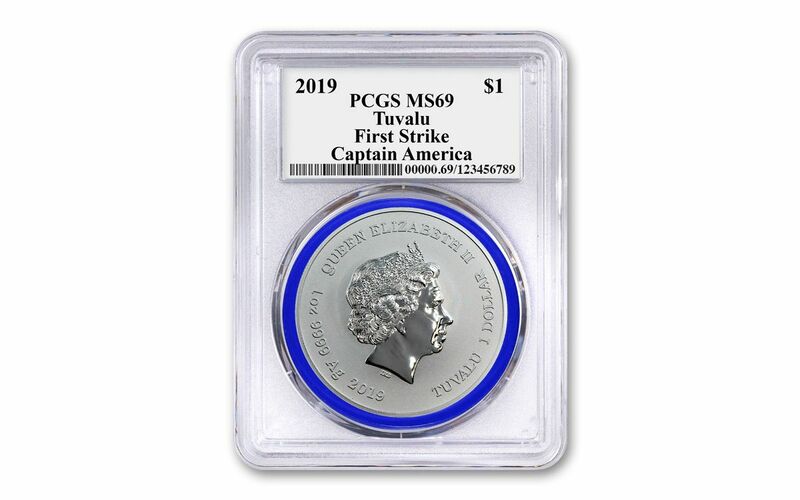 In addition, PCGS has also certified this coin to be a First Strike (FS) coin, meaning that it was among the first struck by the mint and was verified within the first 30 days of issue. It will come sonically sealed in an acrylic holder with a blue display core. GRADED IN NEAR-PERFECT UNCIRCULATED CONDITION – Your 2019 Tuvalu Captain America One-Ounce Silver Coin has been graded by the Professional Coin Grading Service (PCGS) as being in near-perfect Mint State-69 (MS69) condition.